Ever since the cuddly and heavily padded obstacle course show “Wipe Out”, I’ve been a fan of obstacle race shows. The show reminded me of special high school gym classes when we’d spread all the sports equipment (exercise mats, pommel horses and ladders) all over the floor and play “Pirate” (a sort of tag) through the obstacles. The new TV series “Ninja Warrior” is a grown up and modern version of this concept which has me cheering like a Japanese schoolgirl. Ninja Warrior, or SASUKE as it is known in Japan, is a sports entertainment TV series best described as the ultimate obstacle course challenge. The obstacles are industrial looking (so no fluffy padding) and the commentary serious, professional and in Japanese. The goal is to beat the clock through four stages of increasingly difficult obstacle courses, while avoiding the disgustingly swampy water below. Of course, these aren’t just ordinary obstacles. No bouncy balls or spinning pads. A Ninja Warrior contestant must display remarkable upper body strength along with world class skill and stamina to have a chance at completing the obstacles in the allowed time. With a tradition going back to 1997, “Ninja Warrior” is held bi-annually on the top of Mt. Midoriyama in Japan. 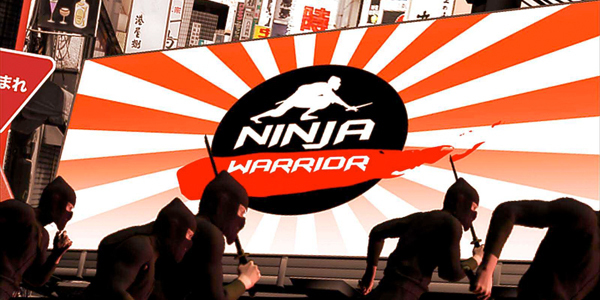 Each competition (now up to its 27th) selects 100 modern “Ninja Warriors” who are tasked with conquering an insanely difficult obstacle course. If no one completes the challenge then no one wins and there is no champion. To give you an idea of how difficult the challenge is only three men have ever achieved total victory and been crowned Ninja Warrior Champion. This video shows a recent progression of the athletic series with Yusuke Morimoto destroying Stage 3 is the “USA VS THE WORLD 2015″ competition. The official site can be found here. What do you think about “One Man Army” on Discovery? i love ninja warrior it’s a super challenge!